When it goes on sale in March 2018, the 2019 Volvo XC40 will boast a pay-by-subscription model that no other mainstream automaker has offered in recent memory. For a flat-rate fee of $600 or $700 per month, depending on configuration, Care By Volvo subscribers can pay for not only their car, but also insurance, maintenance, and wear-and-tear items such as tires and wiper blades. The contract requires a 24-month commitment and is subject to insurance and credit approval. 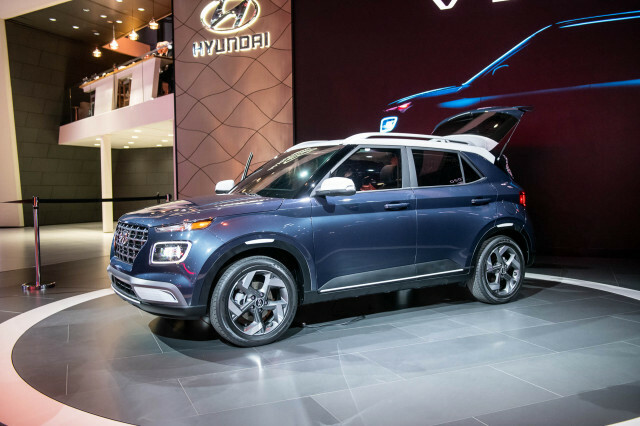 Like a mobile phone, subscribers can trade in their cars after one year for new models—at a new subscription price that may rise each year—although the program is limited to the XC40 at the outset. After two years, subscribers can opt to buy their cars outright for a price Volvo hasn't yet announced. Subscription packages from automakers aren't new, but most have been limited to select areas and drawn from a fleet of cars selected for the service. 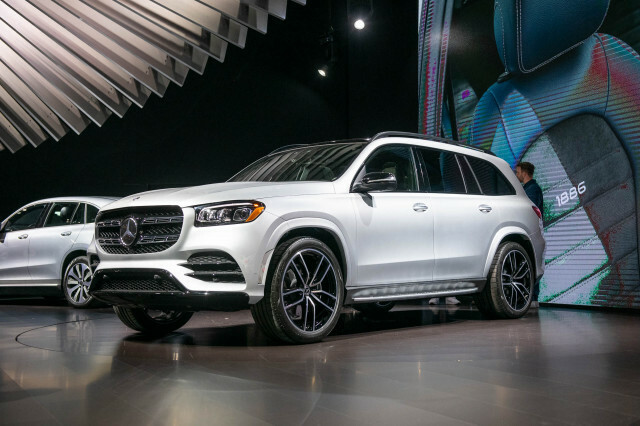 If successful, Volvo's model may spur new efforts by automakers to entice younger buyers into the fold with inclusive packages at shorter terms than typical three-year leases. 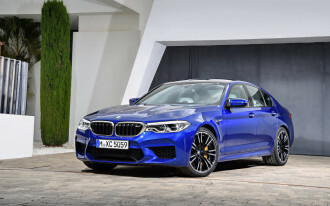 The program was announced at the 2017 Los Angeles Auto Show in November. 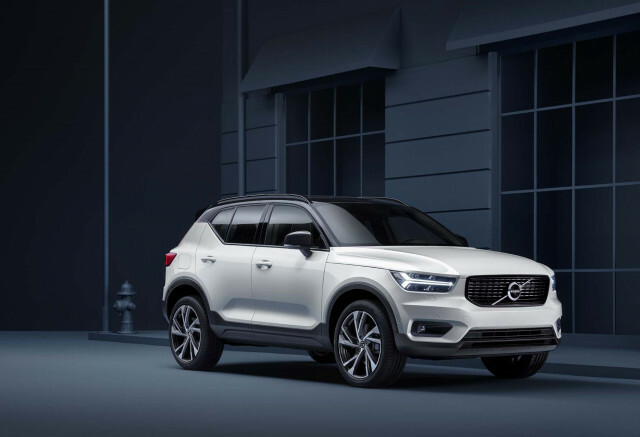 Volvo said that in less than a week, around 2,000 people paid a deposit of $500 to sign up for the plan, and 16,000 car shoppers said they were interested in the new XC40 overall. The company said it worked to make registering interest and offering deposits particularly easy. "The (Care By Volvo) process takes about 10 minutes from initial sign-up to completion," said Volvo spokesman Jim Nichols. • For $600, subscribers can drive a T5 AWD Momentum equipped with a Premium Package, blind-spot monitors, parking sensors, 19-inch wheels, dual-pane sunroof, heated front seats and a heated steering wheel. 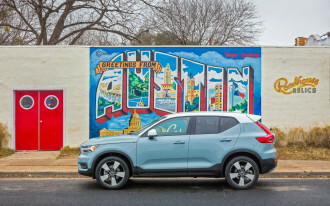 • At $700 a month, Volvo offers an XC40 T5 AWD R-Design with a Premium Package, blind-spot monitors, parking sensors, a surround-view camera system, premium audio, 20-inch wheels, heated steering wheel and heated seats. Subscribers can drive up the cars up to 15,000 miles per year during the program and are charged $0.25 per mile over the 30,000-mile, two-year total. 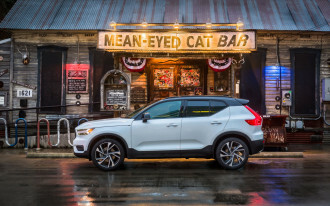 The subscription fee compares favorably to a lease on the XC40, which ranges around $325 per month (without insurance) for 36 months, with a $3,000 down payment, and 10,000-mile allowance. 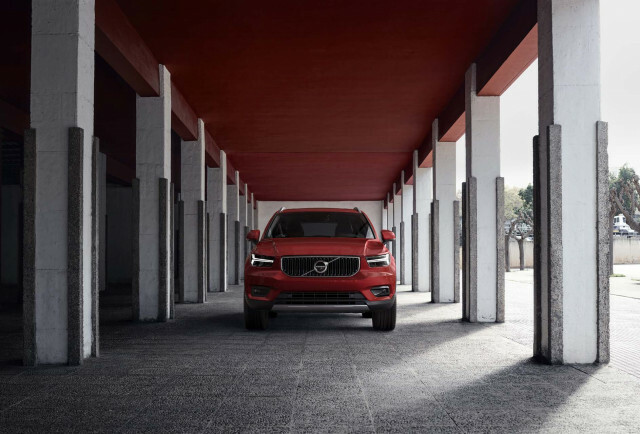 Care By Volvo skips the down payment, but requires subscribers to pay for tax and title on their cars that could range from several hundred to several thousand dollars depending on where they live. Officials from Volvo say they're considering a used-car subscription program and similar offers for other Volvo vehicles, but won't yet talk specifics. The potential influx of buyers looking for one- to two-year old models could spur a second run at the XC40s. "There's a lot of speculation that could be made on what happens on the vehicles afterward. We're still a little bit far away from that scenario...our finance team is working different ideas for what happens to those when they come back," Nichols said. In the U.S., Liberty Mutual will underwrite the car's insurance and be a vital part of the process. Volvo and Liberty Mutual will work at a legal arm's length from each other during the subscription program; Volvo can't speak for Liberty Mutual and vice versa. 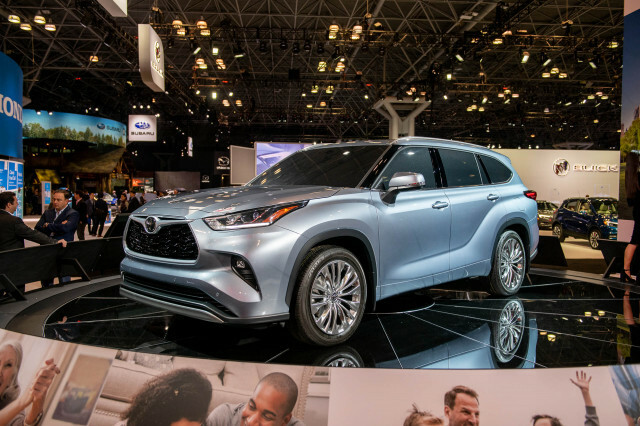 That's due to strict restrictions on the automaker, but also common sense—the cars are titled, licensed, and insured in the subscriber's name. Officials from Volvo provided some clues on the operation this week, even though they say the final contracts aren't yet complete. In addition to independent approval from Liberty Mutual, officials from Volvo said that the insurance agency can end the subscription with the driver if the car is totaled, stolen, or lost. All Care by Volvo XC40s carry a comprehensive policy: $250,000 personal liability, $500,000 property liability, with a $500 deductible. Volvo relies on its 300 dealers nationwide to service and maintain the cars, although they don't ever touch their lots. Volvo said it will have a stockpile of XC40s waiting for subscribers at the ports—not pulled from dealer's stocks. 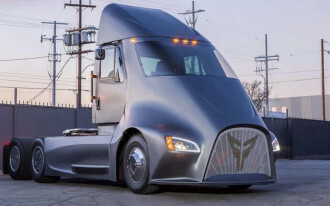 For that reason, customers have to wait for several days for the deliveries to arrive at local dealers before driving off. Good news: Subscribers can select their interior and exterior color. Bad news: If you live in Lincoln, Nebraska, it could take a while. Worse news: White roofs aren't available in Care By Volvo cars. 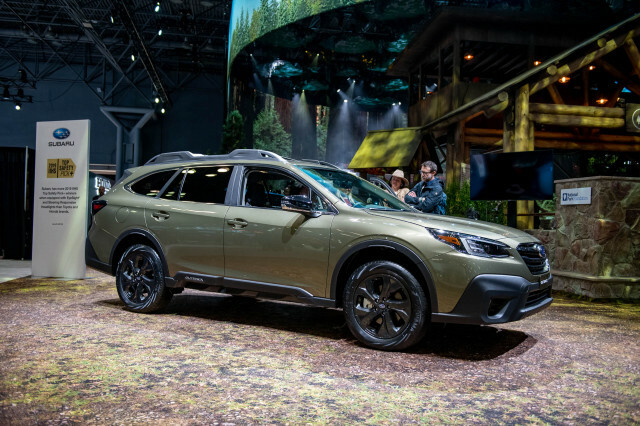 Trade-ins for the program are handled as sales to the nearby dealerships and aren't deducted from the monthly subscription fee. Orders are open for Care By Volvo with deliveries beginning around March. Volvo provided airfare, food, and lodging to enable Internet Brands Automotive to bring you this first-person report.